That zinger came after too many late nights working on my book project, which focused on work/life balance (ironically enough). The book jacket called me a work/life expert, but my son’s words didn’t carry a ringing endorsement. My family will always rank first on my priority list, but during that hectic period, I was putting a high value on my professional work, too. I had one shot to launch this project, and I couldn’t stop typing every time my son wanted attention. That guilt would have been too much for a lot of moms to swallow. But while I certainly wasn’t jubilant that Gideon felt the way he did, I recovered quickly because in the course of my research, smart working moms had taught me a secret: Work and life come in seasons. Some seasons are brimming with professional obligations – perhaps even so much work that we feel we’re being pulled under. In those moments, try to remember that a less-busy season is probably around the corner. It won’t always be like this. You get the picture. There is a season for everything – and it won’t be like this forever. For many of the parents I interviewed, the “season analogy” made it easier to ride the waves. The transition to a slower season might not occur naturally, or according to our personal desires. If you say yes to every request, it’s hard to ever find a time when the decks will be cleared. Further, a layoff or career transition might force us into a season that we weren’t quite expecting. Both scenarios offer a chance to reassess lifestyle choices. Transition times can provide opportunities to focus on something other than work — whether it’s your faith, your relationships, your hobbies, or whatever matters most to you. If there is never a season of calm or fun, consider whether a career change might make sense. Is your job making you miserable? Would it be reasonable to exchange dollars for hours and a less stressful existence? Is there a way to line up your work life and your personal values? For me, this fall has been a much sweeter season. Good Enough Is the New Perfect is out in the world, and I’m not trying to manage several jobs (professor, author, publicist, blogger, speaker) simultaneously. Instead, I’ve decided to focus this season on my law school work and my family. (Sure, I’m still consulting and writing on the side, but I’m dictating the pace.) This was a particularly good time to focus on family, as my boys are in an incredibly engaging stage. They’re in elementary school, where life is filled with baseball games, drama classes, field trips and imaginary play in the backyard. This season will likely pass before I’m ready for it to end; at some point, they’ll be teenagers. So for now, I’m going to just let it be fall. 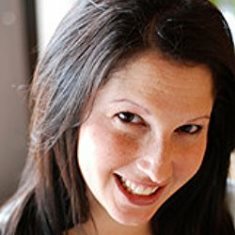 Hollee Schwartz Temple is the co-author of Good Enough Is the New Perfect: Finding Happiness and Success in Modern Motherhood (Harlequin, Spring 2011). A professor at West Virginia University College of Law, she focuses her research on work/life balance.